and for those who enjoy some company in the dining room. Expertly maintained tracks in woodland, on open hillsides and with extensive views. Off track touring exploring hills and rugged scenery. Small downhill piste. Skiing options at all levels – inc. beginners. Skiing with a group or independently. A choice of daily ski programme will be offered. One group will ski more gently or shorter distances, the other will have a longer more demanding day. Off track skiing will be offered where conditions and demand exists. Technique improvement instruction will be offered where appropriate. 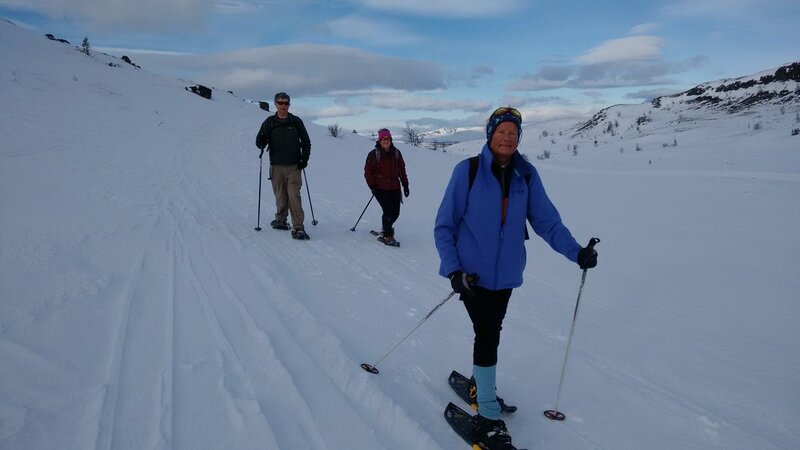 Modern snowshoe equipment including poles can be hired locally and are suitable for both shorter and longer routes. It’s easy to learn and can be substituted as an alternative to the ski programme for some days. Leading and instruc􀆟on provided by qualified Instructors/leaders inc BASI, SSE, IML and winter ML. 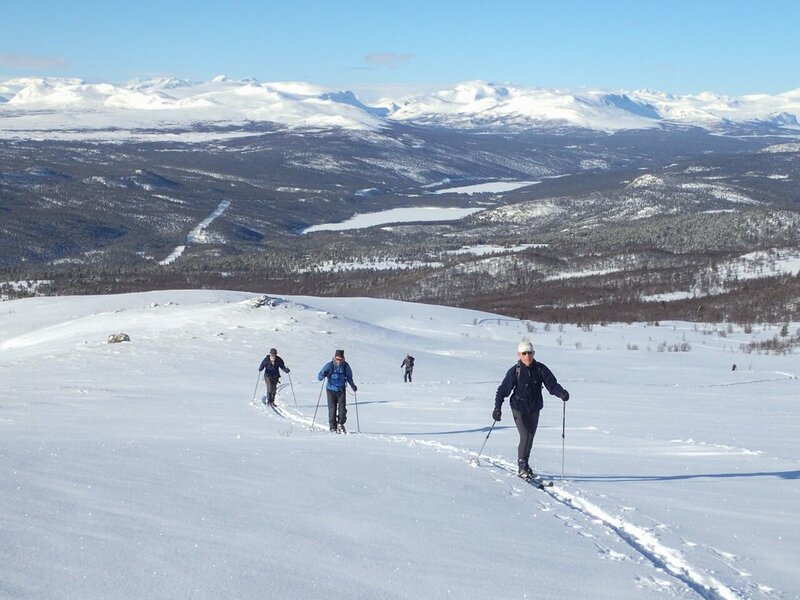 Subject to leader availability, each day we aim to have both a more adventurous and a more relaxed option for both track and off track skiing. Instruction available to learn or improve both track and off track technique. Opportunties to learn about waxing, equipment, where to ski and more. Evening talks and slide shows – maybe even a ceili!